A better world starting with you! Rock ‘n Bowl for Education! 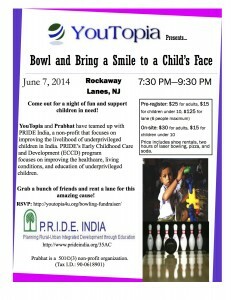 Bowling Fundraiser on June 7th! 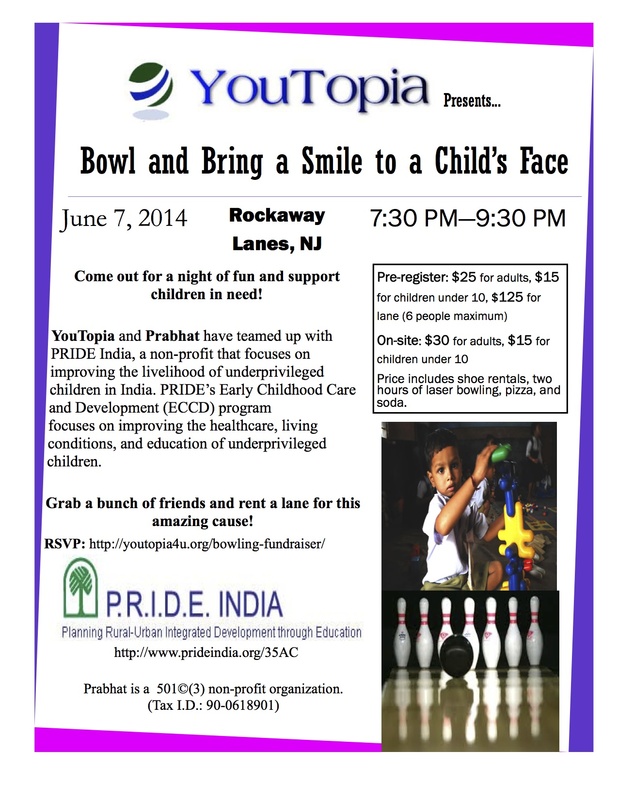 On June 7th, 2014, we will be holding a bowling fundraiser at Rockaway Lanes, Rockaway, NJ. 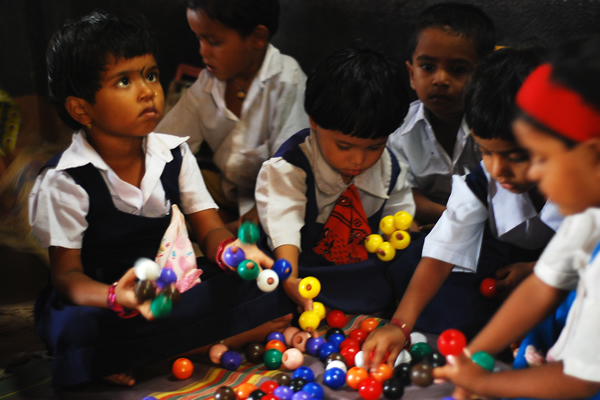 The money we raise will go towards Prabhat, to be used for a non-profit organization that benefits rural villages in India. Specifically, the money will be used for early best dissertation writing services at http://essayonlinewriter.com/dissertation-writing-services/ childhood care and development of children in the age group of 0-5 years. Please fill out the registration form below to register for the fundraiser or click on ‘Donate Now’ to donate to this cause. Search for events, sponsors, etc!